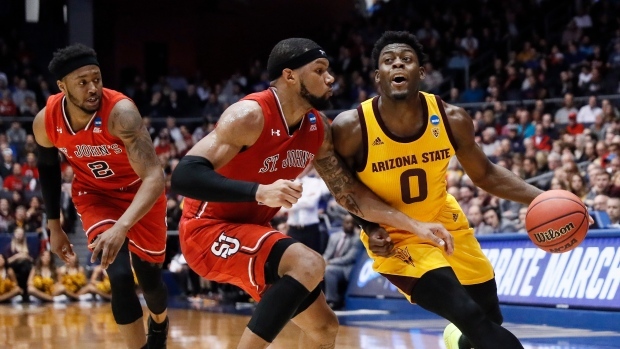 DAYTON, Ohio — Montreal's Luguentz Dort overcame a hard foul and a leg injury, scored 21 points and led Arizona State to a long-awaited NCAA Tournament victory Wednesday night, 74-65 over St. John's in the First Four. Arizona State's physical defence brought the Red Storm to a halt. St. John's missed 17 of its first 23 shots as the Sun Devils built an 18-point lead . A technical foul on coach Bobby Hurley as he argued over a blocking foul with 25 seconds left in the half helped St. John's trim the deficit to 38-25.